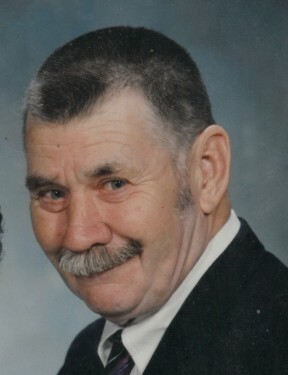 Obituary for Walter Howard Fish, Sr. | Compassionate Funeral Care Inc.
Walter was born on June 3, 1924, in Argyle, NY, the son of the late Lonson Fish and Jennie Fish. Walter was a machine operator for Holland Worth and Vaults in Clarks Mills for 35 plus years. He is the last of his siblings, in his early years he was known as “Rooster”. Walter was an avid outdoorsman, he loved animals and tending to his vegetable garden as he loved to go barefoot most of the summer. Walt was very giving, a friend to anyone who would let him into his life, he has brought joy and laughter into the lives of others, but most of all he loved without conditions, he wasn't afraid to proclaim his devotion to others. His home was full of love and always open, not just to his family but to his friends as well. He had a nickname for all of his grandchildren, he cherished his time with family and there was never a time that family was not at his home, he will be forever missed and forever in our hearts. Walter is survived by his children, Walter H. Fish, Jr. (Tammy) of Argyle, NY, Kenneth Fish of Greenwich, Katherine Mosher (Ted) of Victory Mills, NY, Edward Fish of Argyle, NY, Peter Fish (Kathy) of Argyle, NY, Michael Fish (Linda) of Greenwich, NY, Donald Fish, Sr., (Donna) of Schuylerville, NY; 24 grandchildren, 28 great-grandchildren, 2 great-great-grandchildren, many nieces, nephews and friends who will miss him dearly. A funeral service will be held at 7:30 pm on Saturday, March 30, 2019 at Compassionate Funeral Care, 402 Maple Ave., Saratoga Springs, NY. Family and friends may call from 2 pm to 4 pm and 6 pm to 7:30 pm prior to the service at the funeral home. He is preceded in death by his beloved wife Anna Fish; son, Danny Ray Fish; his siblings, many aunts and uncles.